New trailer and artwork for the upcoming spy thriller. Jennifer Lawrence reteams with her Hunger Games director Francis "no relation" Lawrence for spy thriller Red Sparrow, in which the actress plays a Russian agent assigned to seduce a CIA operative played by Joel Edgerton. Things get messy when Cupid's arrow strikes. Matthias Schoenaerts, Charlotte Rampling, Jeremy Irons and Mary Louise Parker also star. 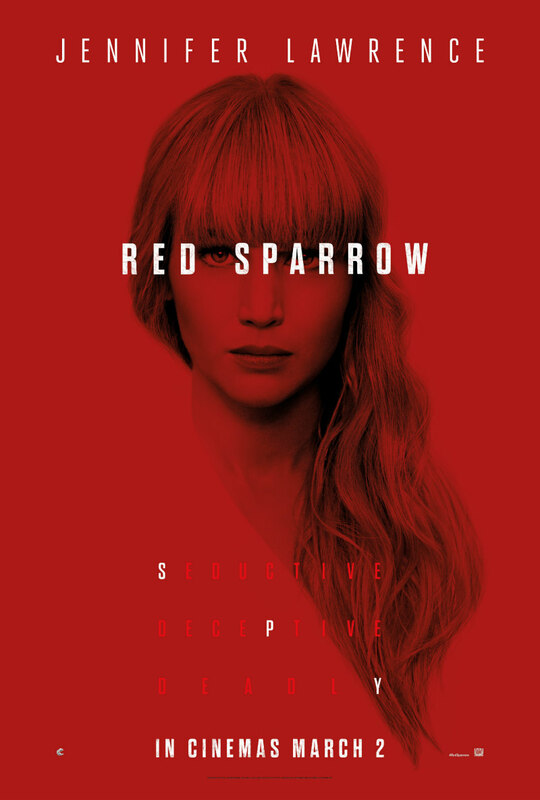 Red Sparrow is in UK/ROI cinemas March 2nd.